New Year, New You: 13 Beauty Resolutions Every 2018 Bride Should Follow! New year comes with new resolutions! While some vow to become healthier or join a gym, there are a handful few who take practical steps to attain their goals. For a bride who is getting married in 2018, we have the perfect thing to get you started. POPxo's January Beauty Box is here and we're super excited to share this pretty little wonder full of amazing goodies for the bride. The products are worth Rs 1576, however, the box is priced at Rs 888. And guess what? You can get it for Rs 799 on the preview sale at epopxo.com right now! With the wedding season in full swing, this couldn't have come at a better time! We promise it will bring about a huge change in your beauty and grooming routine, leaving you with healthier and glowing skin on your big day. 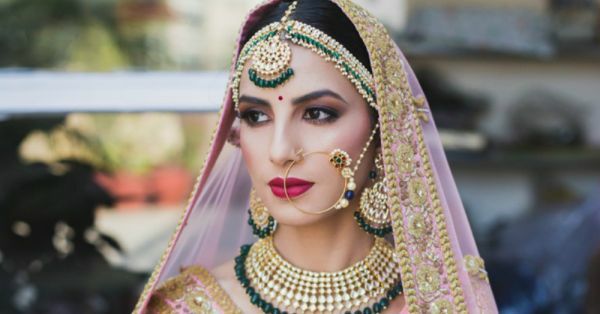 But along with that, here are a few beauty and self-care resolutions that a ‘to-be bride’ should definitely follow. With so many make-up brands and products available in the market, it is common for us to get confused about which one to buy. Rather than just believing the women behind the counter, we suggest you research before you splurge. Read reviews before you take an expensive plunge or else, just buy the POPxo Beauty Box that’s got all our favourite products at an awesome price. We know it is a task but always make sure that you remove your make-up before you hit the bed. We particularly liked the Blossom Kochhar White Tea & Chamomile Facewash (Rs 77) . It helps clean your face well and also removes every ounce of make-up, so that you wake up with clean and fresh skin every day. It’s called “beauty sleep” for a reason. Prioritize it. Waking up with under eye bags or dark circles is not a pretty sight. Harmful UV sun rays can cause severe damage to your skin and sometimes cause premature ageing. Therefore, it is always advisable to wear sunscreen lotion before stepping out in the sun. Avoid crash dieting as that would end up making your face look tired and weak. Instead, try to work-out at least 3-4 times a week to not only maintain a svelte body but also to become healthier in the long run. Make-up brushes help us apply and blend our favourite products on our skin, but it is important to clean them regularly too. Using the same brush without cleaning it, can also cause breakouts on your skin, which is certainly not a great surprise to wake up to! In such a scenario, a beauty blender like the MyGlamm Beauty Blender (Rs 950) is not only handy but also easy to clean. Do try! Pillows can be a cause of breakouts since bacteria can clog and get accumulated on the pillowcases. Make sure you change your pillowcase at least twice a week to avoid any skin infections. Going for a manicure every week/fortnight might not always be possible for all. Thus, keeping a nail and hand cream like the Colorbar Fruit Drop Hydrating Hand Cream in your handbag could be a good reminder for you to apply it daily. Another great way is to apply extra virgin olive oil on your hands and feet before bedtime. We are telling you, it works wonders! You have probably heard it before and we will not shy away from saying this again… Water is the magic potion for your skin. You should drink at least 8 glasses of water in a day as it not only makes the skin glow but also helps in flushing out the toxins from your body. Your hair may be prone to damage during your wedding functions, thanks to all the hair styling products! Go as natural as possible or limit the use to avoid permanent damage to your tresses. Beauty products have an expiry date, so please stop using them beyond the limit! Using expired beauty products can cause skin allergies and can sometimes even lead to acne. So be cautious. “When in doubt, moisturize”. For glowing, and even-toned skin, it is essential to moisturize your skin daily to make it look and feel fabulous! 13. Avoid stress & pamper yourself! We accept wedding planning can lead to a lot of stress. Which in turn can make your skin look tired and saggy. Treat yourself to a spa session or take a quick meditation break to avoid any last minute nervous pangs. Better still, buy yourself the #POPxoBeautyBox. Here's all that it contains!